Lichtenstein, M., Keini, G., Cedar, H. and Bergman, Y. (1994) B-cell specific demethylation – A novel role for the intronic k-chain enhancer sequence. Cell, 76:913-923. Kirillov, A., Kistler, B., Mostoslavsky, R., Cedar, H., Wirth, T. and Bergman, Y. (1996) A role for nuclear NF-kB in B-cell-specific demethylation of the Igk locus. Nature Genetics 13: 435-441. Mostoslavsky, R., Singh, N., Tenzen, T., Goldmit, M., Gabay, C., Elizur, S., Qi, P., Reubinoff, B. E., Chess, A., Cedar, H. and Bergman, Y. (2001) Asynchronous replication and allelic exclusion in the immune system. Nature 414: 221-225. Goldmit, M., Ji, Y., Skok, J., Roldan, E., Jung, S., Cedar, H. and Bergman, Y. (2005) Epigenetic ontogeny of the k locus during B cell development. Nature Immunology 6:198-203. Feldman, N., Gerson, A., Fang, J., Li, E., Zhang, Y., Shinkai, Y., Cedar, H. and Bergman, Y. (2006) G9a-mediated irreversible epigenetic inactivation of Oct-3/4 during early embryogenesis. Nature Cell Biology 8:188-194. Fraenkel, S., Mostoslavsky, R., Novobrantseva T., Pelanda, R., Chaudhuri, J., Esposito, G., Jung, S., Alt, F., Rajewsky, K., Cedar, H. and Bergman, Y. (2007) Allelic ‘choice’ governs somatic hypermutation in vivo at the immunoglobulin k-chain locus. Nature Immunology, 7:715-722. Epsztein-Litman, S., Feldman, N., Abu-Remaileh, M., Shufaro, Y., Gerson, A., Ueda, J., Deplus, R., Fuks, F., Shinkai, Y., Cedar, H., and Bergman, Y. (2008) De novo methylation promoted by G9a prevents reprogramming of embryonically silenced genes. Nature Structural & Molecular Biology 15:1176-1183. Abu-Remaileh, M., Gerson, A., Farago, M., Nathan, G., Alkalay, I., Zins Rousso, S., Gur, M., Fainsod, A., and Bergman, Y. (2010) Oct-3/4 regulates stem cell identity and cell fate decisions by modulating Wnt/β-catenin signaling. EMBO J. 29:3236-3248. Farago, M. Rosenbluh, C., Tevlin, M., Fraenkel, S., Schlesinger, S., Masika, H., Gouzman, M., Teng, G., Schatz, D., Rais, Y., Hanna, J., Mildner, A., Jung, S., Mostoslavsky, G., Cedar, H., and Bergman, Y. (2012) Clonal allelic predetermination of immunoglobulin-k rearrangement. Nature, 490:561-565. Although mammals clearly benefit form the fact that they are diploid, over 10% of the genome is actually expressed monoallelically in a non-imprinted manner. This includes olfactory receptor selection, X-inactivation in females, ribosomal RNA regulation, and allelic exclusion in the immune system. One of the cornerstones of immunology is that mature antigen receptors are only produced from a single allele in each cell, a phenomenon termed allelic exclusion. Very little is known about how this phenomenon is regulated and programmed during development. We have demonstrated that allelic choice actually takes place in a programmed manner. The main proof for this mode of action is based on the observation that the two immunoglobulin-kappa alleles can already be distinguished by a number of different epigenetic marks prior to the recombination reaction itself. These markings include; histone modification, nuclear localization, replication timing and DNA methylation (Mostoslavsky et al, Nature 2001; Goldmit et al., Nature Immunology, 2005; Fraenkel et al., Nature Immunology, 2006; Farago et al., Nature 2012). These findings form the basis for our current studies which aim for deciphering the mechanisms involved in the choice and maintenance of allele-specific activity during development, for uncovering the unique structure of monoallelic chromosomal domains and for understanding how the internal organization of these regions directs allelic complementation. Long-term repression plays an important part in the programming of gene expression profiles in the developing organism. We have clearly demonstrated that the histone methylase G9a is a master structural regulator that plays an important role in early development by targeting a wide network of embryonic genes for post-implantation repression. This silencing process includes key genes, such as Oct-3/4, Nanog and Dnmt3L (Feldman et al., Nature Cell Biology, 2006; Epsztein-Litman et al., Nature Structural and Molecular Biology, 2010). Tumor properties are largely determined by the balance between the stem cell state, with its self-renewal capacity and phenotypic plasticity, and the inherent program that directs these cells to undergo differentiation. This balance is largely controlled by epigenetic regulators. We are interested in studying the molecular mechanisms by which epigenetic regulators execute gene expression changes to control cancer cell differentiation state. Specifically, we will decipher how changes in the activity of chromatin regulators influence chromatin structure over the genome, and how these factors actually regulate the establishment of cancer specific methylation states. 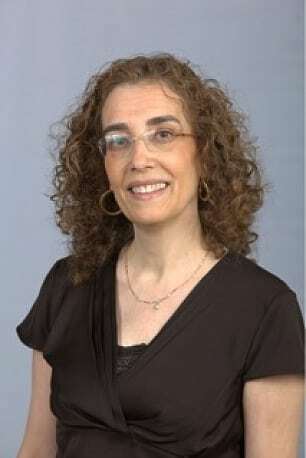 The Israeli immunologist and cancer researcher Professor Yehudit Bergman of the Hebrew University of Jerusalem has been honored with the Helmholtz International Fellow Award for her excellent research.